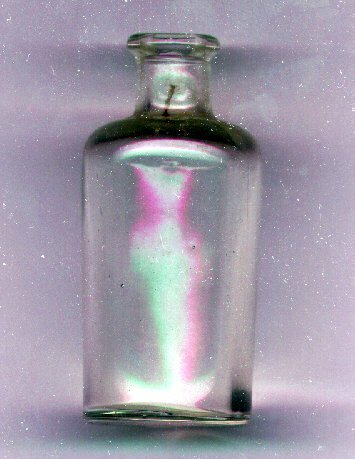 "Circa 1900 Ink or Medicine Bottle"
(429)Circa 1900 Ink or Medicine Bottle.-Condition: Very Good Made of clear glass with applied lip (was corked). Measures 1 3/4 diameter" by 4". Shape of bottle is round. Holds 2 1/2 Fluid Ounces. Price: $4.00 + shipping.